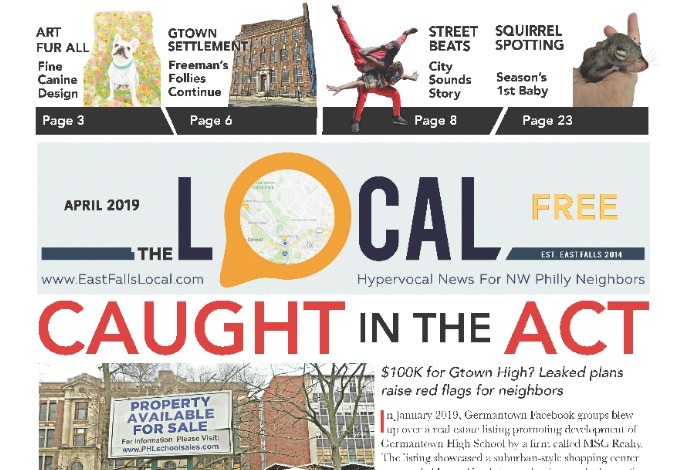 Interesting article in Sunday Inquirer’s real estate section asserts that Manayunk is “still hip, still the place they want it to be.” When realtors talk about re-emerging corridors and trendy ‘hoods, they praise our next door neighbor for the same kinda stuff we have here in East Falls — only closer to the city and suburbs, to boot. But gentrification doesn’t push people out, gentrification just moves in when property values are low. Instead of blaming progress, the trick is to work with developers to create a multi-use community everyone can enjoy. You’ll find Ms. Geraldine Fisher’s exceptionally researched & readable paper here, and meanwhile we used it here as our main resource, thanks. Some history, first. In the 1970’s, Manayunk was essentially a ghost town, Main Street just a stretch of boarded-up business fronts. For whatever reason, while Philly spent the 50’s & 60’s tearing up other neighborhoods in the name of “Urban Renewal,” poor Manayunk was completely overlooked. But that was a good thing: as a result, the town’s abandoned buildings retained their 19th Century charm, and caught the eye of developers looking for discount properties to lure artists and students seeking proximity to the city, with lower rents. Some would say Manayunk’s gentrification began in 1971, when Philly under Rizzo started sprucing up the Canal & Towpath, or in 1981 when the CanalView bar & restaurant opened, but no one argues that development really took off after Manayunk was listed in the National Register of Historic Places in 1984. E.L. Crow’s consultants recommended restoring Main Street storefronts to their original historic charm, and strategizing a “coordinated theme” of new businesses & services to attract more upscale shoppers and families. Which is pretty much what Manayunk did, to great success. In 2006, Main Street alone had over 26 bar/restaurants, 11 high-end clothing boutiques, 7 furniture stores, 10 spas/salons, six art galleries and five national retail chains. But the noise! The traffic! The bland condos squeezed in wherever they’ll fit! Funny thing about historic neighborhoods: people love to shop and eat in old buildings, but living in ’em? Not so much. Restoring old homes is greener, creates more jobs, and leads to better neighborhood stability than new construction. But still: the vast majority of home buyers seek modern houses. Not just renovated, either — even a completely refurbished old house will have its quirks: small rooms, retro-fitted appliances, lack of central heating/air, plus more upkeep generally, too. So developers tear down the old, and replace it with new construction, which tends to lead to a “bipolar” community with two very different populations with different needs. On one hand, there’s the moneyed professionals who can afford to drive, park & deliver anything the neighborhood doesn’t provide. Then there’s the mid-low income locals on the other, forced to compromise their streets & services for strangers who, let’s face it, can be a little frosty up in their luxury abodes. Manayunk listings reflect this unfortunate dichotomy: you’ll find new townhomes going for $500,000 in less than two weeks on the market, while rehabbed older properties in the $220 – $250k range languish for months. Most of these get rented out to students, 20-somethings, and wage earners, who many locals blame for everything from parking woes to the destruction of a moral society as we know it. But gentrification isn’t the problem. As time passes, populations naturally change. Right now in our area, there are more single households than ever before. Couples get married later in life, and have fewer kids. Green living is a big deal, so is walkability and access to nature. A development-minded community sees empty buildings not as sites for new condos, but as opportunity to create business for new demographics. Trick is to invest some of that revenue towards supporting neighborhood services like hardware stores, pharmacies and grocers, so the people already living there can benefit from the boom, too. There’s more to Mom & Pop shops than what they sell — these small local businesses are often community landmarks and chatter hubs. Plus, restoration tends to have a “catalyst effect” on nearby properties: one house inspires a whole street, the street inspires a block, and so on the rejuvenation spreads. If Manayunk has taught us anything, it’s to manage growth without squeezing out the quirky local appeal that drew investors in the first place. Best way to do this? Highlight & support local history in the business corridor. With some planning and focus, our stretch of Ridge Avenue could be an amazing draw, and create an exciting, livable East Falls for everyone — gentrification, without alienation. 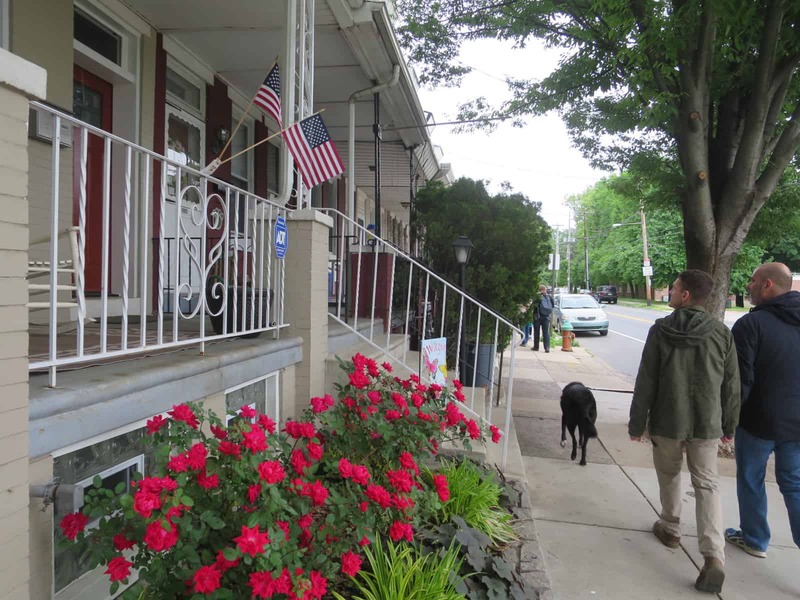 Location, Outdoors, History: What Manayunk’s praised for, East Falls has in excess. Kind of a mystery, really, how we’ve remained such an overlooked corner of Northwest Philadelphia for so long. The secret won’t keep forever. The best way to manage growing pains is to strive for sustainable services & streetscapes we all can enjoy. 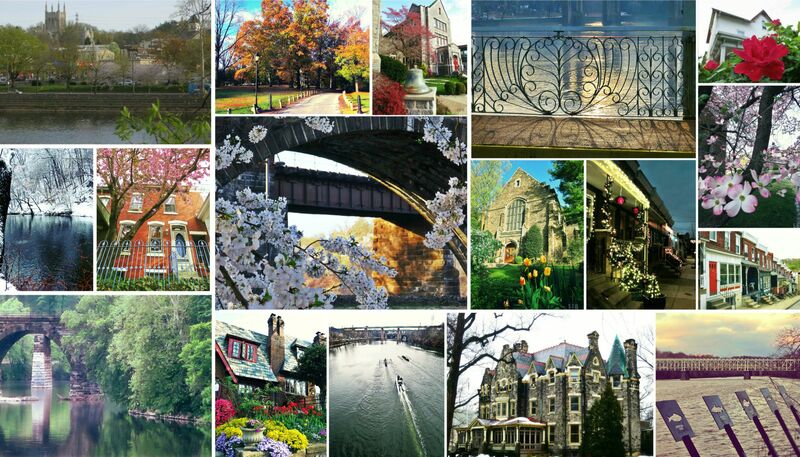 What Would Make East Falls Better? ‘Tis the season for Wish Lists, so why not? Next time you’re walking our streets, turn your eye to local businesses and empty buildings — what’s missing? What kinda establishments should we have, that we don’t? Sound off below, on Facebook or shoot us an email. East Falls does, in fact, have a plan. The East Falls Development Corporation (EFDC) has been consulting with the Community Design Collaborative and local business owners to restore our historic storefronts along Ridge Avenue. The Collaborative has already provided grant money and the EFDC is working with local businesses to secure Commerce Department grants for further improvements. Now’s a crucial time to keep our eyes on new developments and make our opinions heard. I’ll start: a coffee shop that’s open after 3 pm would be fantastic. a brew pub with great food….small plates/tapas and appetizers would draw a great clientele for lunch and dinner. Although I was only there one night, I miss the Fork and Barrel. I know the owner was a scofflaw in a lot of ways, but boy was it cool for one night! I would love to see a home and gift store; a mix between Little Apple in Manayunk, Falls Flowers and Terrain in Glen Mills. Also, a clothing boutique selling indie designer lines. Oh, and a bakery! I think distinguishing us from Manayunk is parking woes. I personally don’t frequent Manayunk because parking bites. Also, the Septa hub in the Falls is maniacal. If they moved it down towards a less busy intersection such as Ridge and Calumet, Midvale would be more inviting as less of a bus stop. Im down for more murals, culture and things that are open later. We have students but no college-town feel. Right on! Appreciate your input especially as a local realtor who’s out there “selling” the area all the time. Please not Ridge and Calumet. We can’t even make a turn there now. The cop isn’t there nearly as long as he needs to be. Problem–were are people going to park? Right- in front of our houses and we end up walking blocks to get home. What can we do about that? 3) Move Ridge/Midvale SEPTA stop. 4) Relocate firehouse from current location. 5) Remove basketball courts from Inn Yard Park, replace with dog park. 6) Begin to rezone/rework the area around River Road to acknowledge the river, you know, the thing that thousands of people pass by during the summer. Currently, only In Riva acknowledges there is a river/Kelly Drive and look at how packed their terrace is in the summer/spring. We need cafes, stores, etc — facing the river. We need a little river quarter to draw people from Kelly Drive onto Ridge. Nailed it… Item number 5 is the catalyst. Relocating the basketball courts away from the business district is paramount. There have been come and go in the neighborhood becasue well…peoplel who live in EF don’t ever go to them then they close. People grab thier coffee at Aplus or BP even when there were better options. Why? What would this accomplish other than make the buses that run there be in inconvenient locations. The K, R, 61 and 1 are key routes for people to get to work in other parts of the city. Also what would this accomplish? Don’t even act like the basketball courts are some kind of trouble zone. There isn’t much space there for anything. It’s a pain to get on unless you are coming from Kelly Drive. Also why build in an area that is known to flood at least once a year. Inn Yard park as the open space centerpiece of the business district and community, with views that open to the river, a fountain/sculpture, shade trees, community gathering space, new name, and free parking not too far away. Boat access on the river at the steps near In Riva. And then====boats! Other than occasional flooding one would think East Falls doesn’t have a river. Underground utilities. No one would notice. But they would sense it. Sort of like a shaved mustache. Walk down the street tomorrow and notice them. Agreed- coffee shop, dog park, hip/community centric restuarants, something sustainable.. Not these one and done shops with terrible store fronts. Any chance the east falls market could open back up? What is the property on Kelly/Ridge that looks like it used to be a Japanese restaurant? I would love to see someone doing something great in that space. I have to agree with most of these prior suggestions. The bus stops need to be moved off of Ridge and Midvale. The buses create congestion and back up along Ridge during rush hour. More trash cans need to be put near the bus stops and along Kelly drive. Litter is a big issue in these areas. We definitely need to play-up our location along the river and create river view restaurants and cafes especially along Ridge where the abandoned office buildings currently stand. We should get rid of the basketball court on Ridge and replace with an outdoor bandshell area similar to what Manayunk and Sea Isle City recently did. Some upscale clothing, art, and furniture boutiques would also be a plus! 1. First and foremost, get rid of the basketball courts. As the only green space along the business corridor of Ridge, it should be utilized as a community gathering space. A low maintenance dog park (modeled after the Schuykill River Dog Run near 25th and Spruce) along with seating areas would be ideal. Hell, throw in a few bocce courts and a water fountain! 2. Move the Septa stop off of Midvale. I don’t know that there’s an ideal spot for it, but the current location is horrible. It causes backups at an already busy intersection and the bus stop is constantly riddled with trash, even though there’s a trash can a few feet away. I would suggest locating it directly in front of the post office. 3. Make the business corridor look more enticing to prospective tenants. Persuade the existing businesses to pick the weeds and sweep the trash in front of their establishments regularly. Taking pride in the appearance of the sidewalk doesn’t cost any money and would go a long way to making the business corridor more attractive. It’s hard for a prospective tenant to get excited about opening a business knowing that their neighboring shops are derelict. 4. Target businesses that make the corridor a destination for families and groups. Coffee shop, ice cream parlor, specialty drink/wine bar, cigar lounge, tapas restaurant etc. 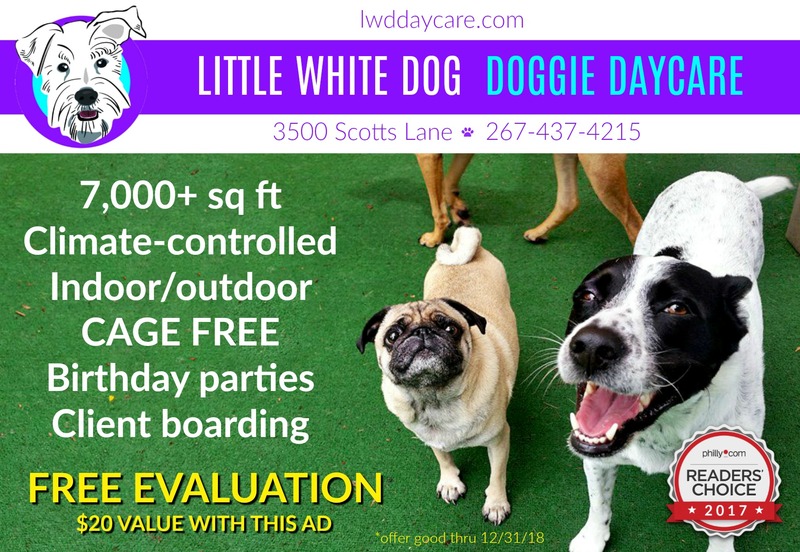 While daycare centers are a necessity, locating them on the main strip is complete waste of commercial space.